Are you looking for an interpreter that can assist in a meeting with a potential client or business partner? Or would you like to have your presentation translated directly for your audience? We can do all that and more. 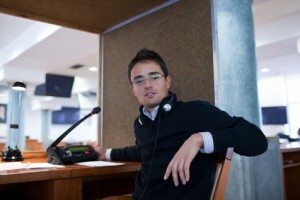 We have ample experience in interpreting from Dutch, German and English into Slovak or Czech, or vice versa. Prior to engaging an interpreter, it is important to know what exactly you expect from the interpreter. During meetings, conferences and presentations, the interpreter translates directly what has been said. The speaker allows brief intervals for the interpreter, before continuing. This is referred to as consecutive interpreting. In the event of large-scale gatherings held in Slovak or Czech, we are able to arrange the simultaneous verbal translation thereof. This is referred to as simultaneous interpreting. It is important that your interpreter is specialised in the relevant subject area. Through our extensive database of interpreters and translators, we are always able to provide you with the most suitable candidate.